It began as a challenge of sorts, a young man at a book signing goading the local author into writing about the clay industries that up until the early 1970s had employed scores of Upton men. Nine years later and writer Alan Burridge has published his book, Upton’s Clay Industries and Associated Rail Links, primarily to record the town’s recent industrial past, but also in answer to the young man he had met in 2008. Alan is the third generation Burridge to live in the same bungalow on Blandford Road so, armed with his own memories of the site and a few more photos, including one of the old brickworks, he set to the task. A chat with Cyril Gillard, who had worked at the brickworks moved things along, particularly as they were overheard by Brian Selby whose 1955 Ordnance Survey map of Upton showed the factory sites. Some more asking around brought further treasures to light, including photos taken at Dorset Clay Products around 1950 by Norman Loveridge, who had his new camera at work that day to test it out. For Alan it was an affirmation – though none was needed – of the sense of kinship he has known in Upton all his life. ‘This was true community spirit at its very best and these instances, along with many others experienced when getting this book together, will remain as golden moments in my life,’ he says. 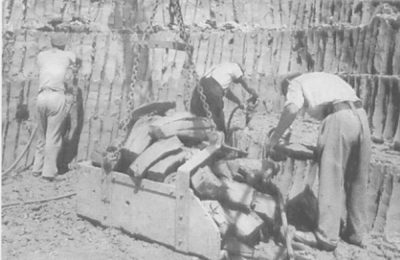 Globally, ultra fine ball clay– as opposed to the coarser china clay – is a scarce resource and is only mined in three sites in Dorset and Devon and some parts of the eastern United States. The Wareham Basin is the biggest of the three British sites and Alan’s book collates all that is left within living memory – and a lot more besides – of the industries that once thrived on it. Dorset ball clay had been an important export from Poole for hundreds of years and by the mid-20th century, as well as Dorset Clay Products – a converted wartime munitions factory – with its salt glazed drainage pipes, the area was home to other potteries including the Carter Company (later Poole Pottery), Branksea Pottery on Brownsea Island, Doulton and the Architectural Pottery in Hamworthy, Sandford Pottery and the Wareham Ball Clay Company. The Lytchett Brick Company became the Upton Brick & Tile Co and was joined by the Beacon Hill Brick Company, which is listed as an active company to this day. Since the early 19th century, owners of clay pits on the Purbeck heaths had been laying narrow gauge railways to transport ball clay to the shores of Poole Harbour, but after the arrival of the mainline London & South Western Railway in 1884, clay was transported further afield by rail. Many of the factories had their own sidings to the mainline and the trains took the strain until the rapidly developing road network began to take it over from the 1950s onwards. ‘The point of doing the book was because I didn’t want to see all this history lost,’ says Alan. ‘Upton has changed in lots of ways and people who have moved here might not know a lot about its past. I was wondering what the kids of today would think if they had to wait for the railway gates to open as the train went through Lytchett Crossing in Poole Road. Although resolutely cheerful, Alan lives with the degenerative effects of multiple sclerosis and is now largely housebound. 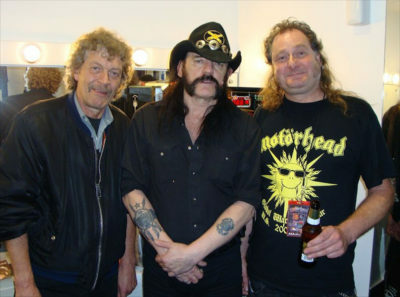 Upton’s Clay Industries and Associated Rail Links is to be his final book and in December he also gave up editing Motörheadbangers, the tri-annual magazine of the fan club dedicated to his heavy metal heroes, Motörhead, whose singer Lemmy – his close personal friend for nearly 40 years – died suddenly in December 2015. 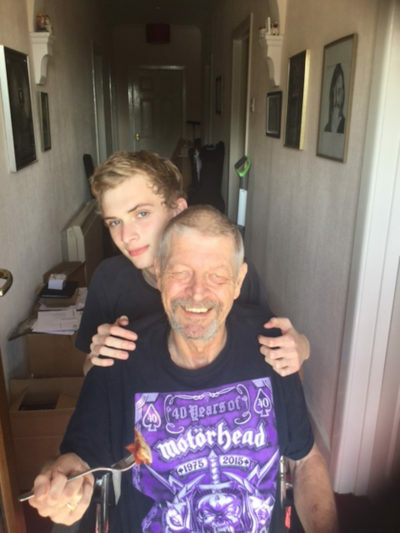 Just a few months earlier, Lemmy emailed Alan after hearing about his diagnosis: ‘I am devastated by your news… I wish you all the good you can get from your life as it has become… You will NOT die before seeing me again, you hear me? Best, Lemmy’. ‘I’ve done 38 years with Motörhead,’ sighs Alan, ‘most of them as a hobby, although for the last twelve I’ve been on the payroll. It’s a shame, but I just can’t do the writing any more. I’ve had a ball, though. People used to ask Lemmy if he vetted the magazine but of course he didn’t – he trusted me. 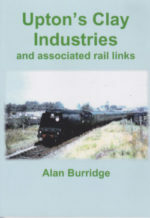 Upton’s Clay Industries and Associated Rail Links can be ordered direct from the author at alan.burridge1@ntlworld.com, price £8.50. • First published in Dorset Life – The Dorset Magazine.